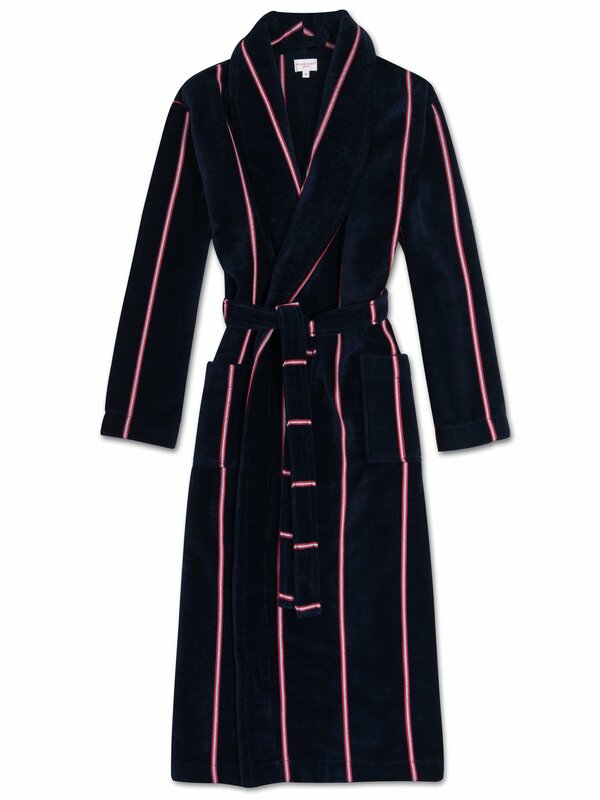 Our Aston towelling bath gown is made from a cut back yarn on the outside, which gives it the soft velour finish, with a rich and lustrous appearance, whilst the looped 'towelling' yarns inside are designed to maximise absorbtion of water and enhance the drying quality of this dressing gown. You'll be dry in an instant — not to mention toasty warm. A luxuriously comfortable gown with a classic shawl collar and two side pockets.